Why are these signs appearing all over town? 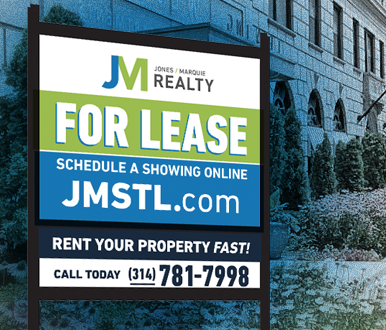 JM Realty is a St Louis, Missouri real estate brokerage specializing in all aspects of leasing and property management. But we aren't your avarage property management company. We are also property owners and have been since 1997. As real estate brokers and owners, we know how to maximize your return by leasing your single family home or condo. We've been doing it for ourselves for decades. Get alerted on new listings and real estate news.